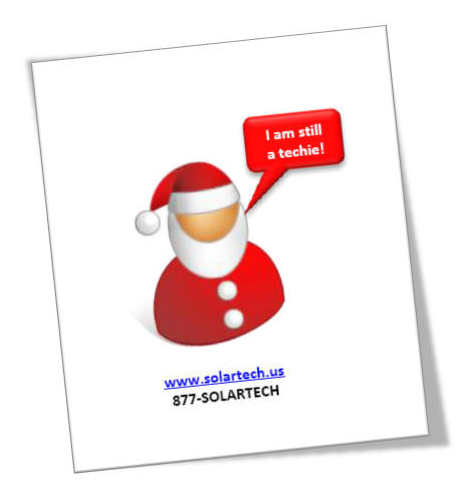 This was another exciting week in the Solartech world. We had numerous classes taking place in both of our training facilities in NY and NJ as well as via our livE platform. Our dedicated instructors led the courses on Implementing Microsoft Office Project Server 2007, VMware, SQL Server 2005/2008 and SharePoint 2007. If you’re interested in taking any of our classes, we offer training on a wide array of subjects. Please visit our website here or feel free to email me at mhacker@solartechnj.com . Last week was quite the week in Solartech’s world. I was at our Wall Street, NY office attending Cisco sales training via our HD livE training platform. I don’t know how many of you are familiar with Cisco Systems, but there is a great commercial where the girl from Juno goes to visit her old Doctor in Nova Scotia and winds up seeing him through a giant flat screen and HD webcam. If you haven’t seen it, I would recommend viewing it here Cisco, The Doctor is In . This is exactly how our Cisco training was delivered at our downtown Wall Street office. Just another way technology brings the world closer together. I hope everyone had a great Thanksgiving. I know I did. Only a few weeks till Christmas, so enjoy your weekend and get as much shopping done as you can now! 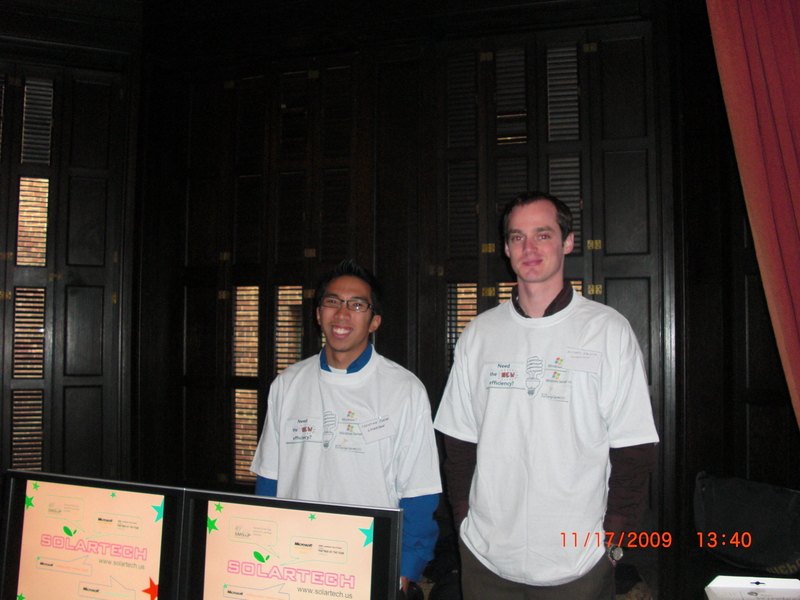 This week I attended the Microsoft Windows 7 Launch Event at the Newark Museum in Newark, NJ. This was my first time at the Newark Museum and figured I would get the most out of my visit by arriving early to take a look around the Asiatic Collection. If you have never been to the museum, I would definitely recommend visiting, I know I plan on going back already with my girlfriend in a couple weeks. The event itself was hosted in the Ballantine Mansion section of the museum with the refreshments being served among period art and carved mahogany paneling. One would have been content enough to walk around the main room looking at the fine china on display or the ornately carved, marble fireplace; but alas, there was work to be done. Christian and I were among the first arrivals with only Museum staff and Microsoft employees already setup. We took to our table and prepared our computer displays next to the members of the Micro Strategies team and waited for the first of the attendees to arrive. When they started trickling in, we were met with optimism and happiness that Vista is now a thing of the past. All-in-all the event went off without a hitch on our end. 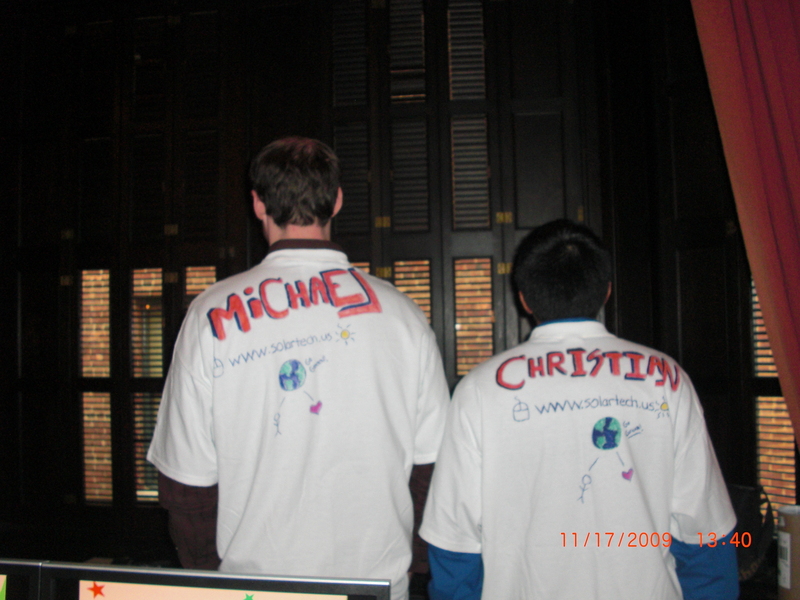 Christian and I got to wear custom made Microsoft T-shirts courtesy of my CEO’s daughter, plus we met a ton of Microsoft users looking for ways to integrate the newest products within their organizations.